Completely revised and updated, this guide contains everything you need to know to have a successful delivery and a healthy baby. This is an indispensable resource for expectant mothers looking for accurate, reliable and comprehensive information about the final trimester of pregnancy and childbirth. It answers every conceivable question expecting parents could have, including dozens of new ones based on the ever-changing pregnancy and birthing practices and choices they face. 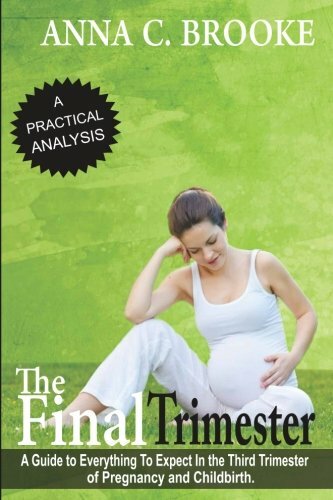 This guide reveals the naked truth about the tremendous joys, the excruciating pains and the inevitable disfigurement that goes along with pregnancy in the third trimester. It also provides adequate information on what you should really expect in the final trimester of your pregnancy ranging from body changes to baby growth to labor and delivery. The Final Trimester takes out the fear of childbirth by restoring women’s faith in their own natural power to give birth with more ease, less pain, and less medical intervention.